Just like self-improvement in life, we are always interested in making the Masters of Mindfulness app better and more useful. It's why we have a Feedback tab on our app; we love to hear your comments on what your favorite parts are, what works for you, and what doesn't, so we know what you'd like to see more or less of. One of the more popular requests has been to offer new songs in the Soothing Sounds section of the app - so, we've done just that. There are now seven new songs for you to enjoy at your leisure, all sung by our multitalented app founder, Monica Ortiz. Be sure to subscribe to our YouTube channel where you can see all of Monica's interviews for the Masters of Mindfulness Series as well as listen to two of the new songs featured in the Soothing Sounds section of the app. Tune in to hear Monica's beautiful cover of Colby Caillat's song You Got Me as well as Christina Perri's A Thousand Years. Want More Than A Taste? 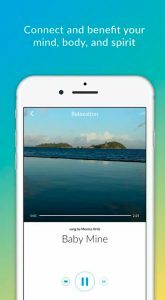 To enjoy all seven of the amazing new Soothing Sounds songs, download the Masters of Mindfulness app and start your 14-day free trial today! Available on iOS and Android.